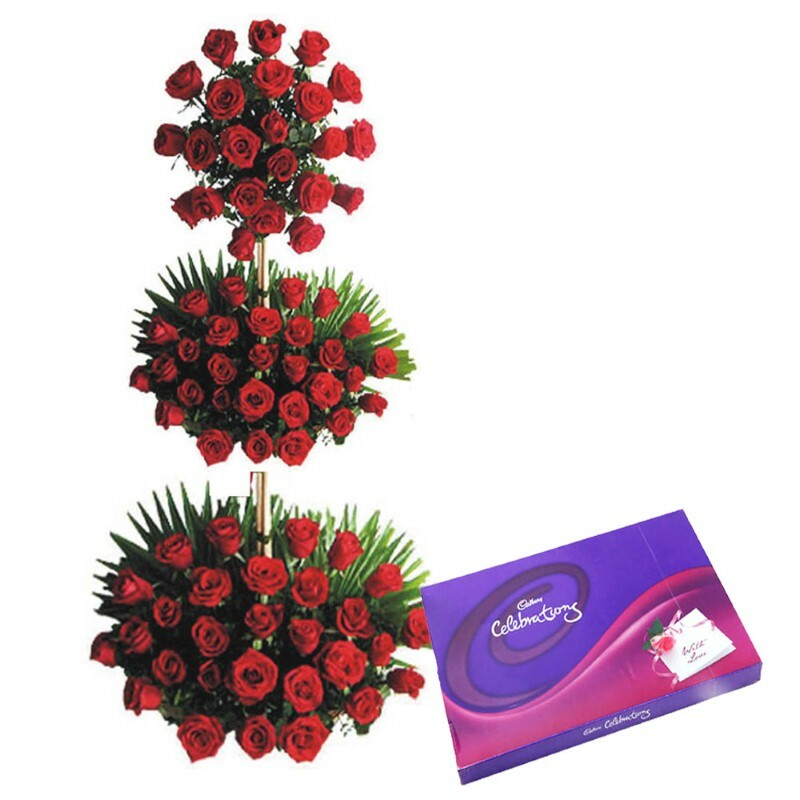 Product Consist : Exclusive Basket Arrangement of 100 Red Roses along with Cadbury Celebration Box (Weight : 125 Gms). This is one gift hamper that you will regret missing out on! This lovely arrangement contains no less than 100 grand and beautiful red roses that promise to delight any recipient in seconds. 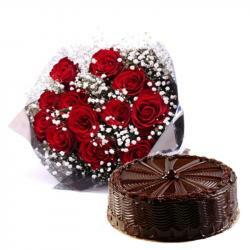 This arrangement also comes with very fresh red roses and green fillers while the matching ribbon bow enhances the effect created by this arrangement on your love ones. 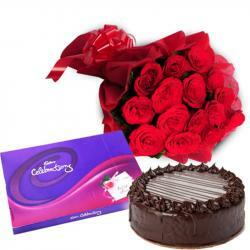 your recipient will be delight with rich taste of yummy Cadbury Chocolate Box. 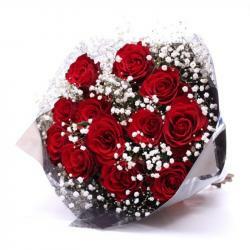 This can be used as the perfect gifting solution to special occasions like valentines day. So, do not late and book your order now. 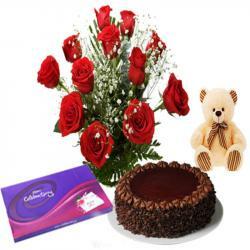 Product Includes : Exclusive Basket Arrangement of 100 Red Roses along with Cadbury Celebration Box (Weight : 125 Gms).